"The 1996 film from the streets of Edinburgh is telling the story of a group of old friends, who are all heroin-addicted. The story is being told by an associate young man – Renton, who uncovers the world of consumer society. His only daily-task is to get a dose with his friends. The audience is tensed whether the "hero" will survive or not. What do you think will happen? The film announced its continuation in 2017. Trainspotting 2 is again telling the story of Renton, who returns back to his friends and drugs after 20 years of being clean. 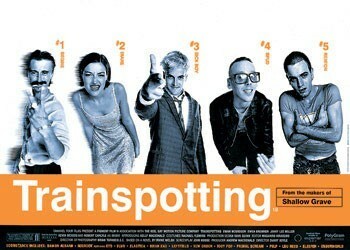 The past pulls him back to drugs.Find products of Renton and quotes from this film in our category as well. 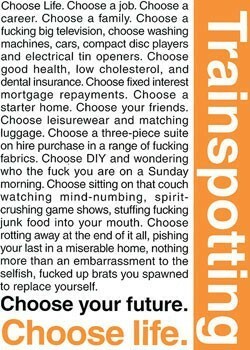 We have a Trainspotting poster for you, as well as mugs. Do you already know with which quote you will enjoy your morning coffee?